For those of you not familiar with this space, you can see my prior living room makeover here. It was pretty terrible to begin with, and the redesign was a big improvement. However, there were many things that still weren’t working for me. A few weeks ago I decided to shake things up a bit–move the furniture around, borrow some pieces from other rooms, etc. (my favorite way to redecorate!). What follows is a lot of pretty “after” photos. I may have gotten carried away…but it’s only because I’m in love with the living room now! I’ve noticed since making the changes I spend a lot more time in here–as I type, I’m on the blue sofa. There are still many things to change, including the bookshelf and the mis-matched chairs, but for now I’m enjoying the new look! 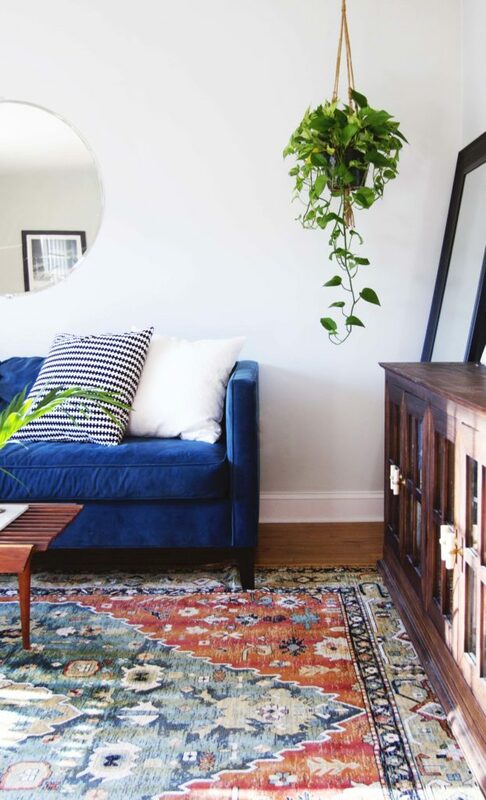 The rug is my favorite part — you can find it here. Apologies for the barrage of photos! What do you think of the changes I made? where did you get the rug???? can you tell me the name of it? i just love your living room! that rug!!! Yes!! Where did you get that rug?! I need it! 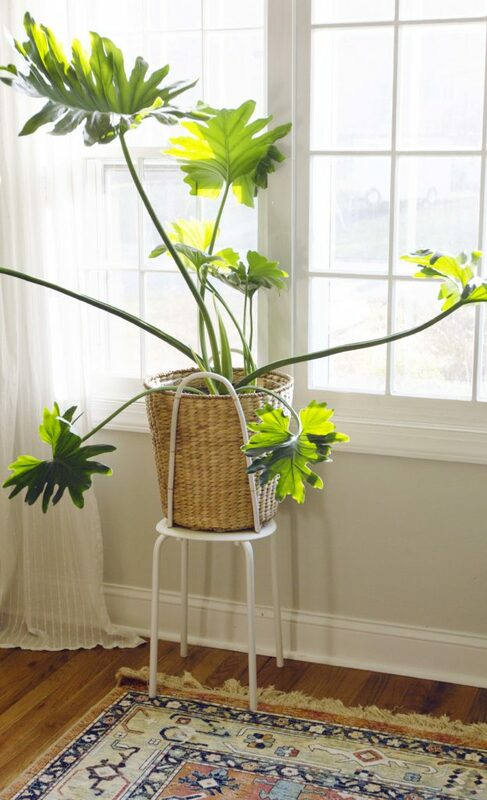 I saw your link to wayfair but they are sold OuT, this one is the same make and model but it looks so different than your pictured! Was hoping to Hear if you think its the same and the photos are just off color? Hey Mary — yes that’s the same rug, it’s just the photos. It’s not that bright in real life! Very stylish – love the added touch of the Mt. Where did you buy that rug? beautiful decor! Hi Liz — the rug is from Wayfair, and the link is in the post above :) Thank you! What a nice room. I know that you don’t like the bookcase but I kind of do. I like that it is kind of the lone boy of the room. Love the rug and the color of the couch. p.s. Re-arranging furniture has always been and will always be one of my FAVORITE activities. Thanks so much Caitlin! I know, right? It’s so much fun, and even better it’s free! Thanks so much! Believe me, it’s been a struggle–my thumb is about as black as they come! Holy gorgeousness! ! That rug! Where on earth is it from, if you dont mind my asking? Ive been looking for the perfect one and this is def it. I adore your blue sofa as well. Happy to have discovered you. Not at all, it’s the Abacasa Sonoma Jewels Rug from Wayfair. I love it, but you should know it’s very thin and flat, like a kilim (surprised me at first!). Thanks! Oh great! Let me know if you get it–I’d love to see how it looks in your home! Fantastic colors in that rug and perfect for the new living room furniture in my reno which wraps up after 11 long months. My sofa is white but my mid-century mod chairs will be recovered for the third time, this time with blue velvet. So glad I saw this on pinterest. Thank you. The rug is out of stock right now but I will wait. Rug is amazing. Where did u find this? Thanks! It’s the Abacasa Sonoma Jewels rug from Wayfair. I love the carpet too and I’m curious how you decided to make the leap to purchasing it. It looks bright in your photos, with strong hues, and only slightly “distressed,” but on the Wayfair website, it looks muted and very worn. Hey Sandra! So, this was actually the second rug I purchased from Wayfair. The first looked awesome on their website, but when I got it was a totally different color and I returned it. I don’t think their images are super accurate, but the photos I posted are also edited. It’s not as muted as the image on their site, but not as bright as it appears here, and it’s actually not distressed at all. It didn’t really feel like a leap at the time, I was just fed up with rug-searching and needed something inexpensive which basically resigned me to buying online. There’s always a risk in that–thank god for returns! 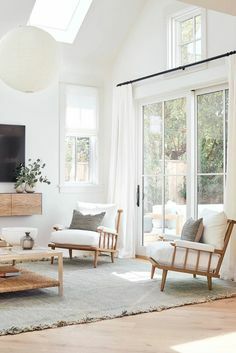 i love this rug too, and i’m about to buy it on wayfair – i’m a little concerned though, that in your pictures, the carpet appears much brighter (which i prefer) than in the wayfair site. is that true? thank you! totally inspiring living room! i LOVE that sofa – what a happy blue, and looks both stylish and cozy (rare!). Where did you get it? Thanks Steph! It’s the Dunham sofa from West Elm. The fabric is Performance Velvet and the color is Blue Lagoon. It’s one of my favorite pieces in my home–I highly recommend it! How comfortable is this couch?! I’ve wanted a blue velvet couch for 2 years now and I’m thinking that it’s finally time to make the leap! Hey Adrianne! It’s very comfortable — it has a foam cushion and the back two are down-filled. However, there are some drawbacks after living with it for a few years and I’m not sure I’d recommend it this particular one. If I had to choose again I’d go for one with a less boxier frame and separate seat cushions. Hope that helps! So, I’m just scrolling thru Pinterest and here is this AMAZING RUG! And I was like woah! And then I saw the blue sofa! Double woah and then I was like Annabode! I KNOW HER! Dude, it is an amazing space. I want everything. This space is gorgeous! I pinned this on pinterest a few weeks ago bc it is so lovely. Today I’m getting ready to pull the trigger on ordering the velvet lagoon fabric from west elm for a reupholstery job, and just needed a little more confidence before I hit order. So I went straight to pinterest to see what I could find for images and this popped up. So excited to see that your sofa is the same fabric I’m about to order. And that rug is amazing! Thanks so much, Meg! You’re too sweet :). I’m so excited you’re going for this fabric– it. is. AWESOME. I’d love to see your reupholstered piece when it’s finished–I’m sure it’ll turn out fantastic! I love the coffee table! Where did you find that? Thanks Jenn! I do love it, mostly because it was so affordable :). i love everything about this! I’m addicted to that couch, but I NEED to know what color the walls are!! I’ve been looking for wall colors and that color is it!! I love it!!! Thanks Sheila! The color is Titanium by Benjamin Moore :). Thank you so much for the quick reply! I’m addicted to your decor! Congrats Hilary! This is definitely a very pale gray, but it is quite cool. I’m more of a warm-color gal, so I don’t think I’ll be using it again but if you like cool colors then this would probably be perfect! 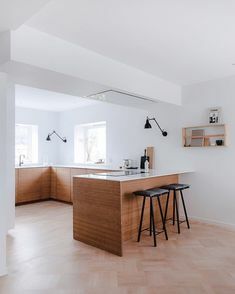 This is SUCH a gorgeous space!!! I love everything! Do you mind sharing where you found that mirror?? It’s so lovely and simple! I cannot get enough of that rug!! Where can I find it? I am madly in love with your little table by the sofa. Is it vintage? Do you have any idea what the style, brand etc is called? I hope you can help me :-) your whole living room looks great! Thanks so much Laura! It is vintage, it’s called a slat bench and I just found it on Craigslist (there are usually a bunch, as it’s a pretty common style). You could also definitely find one on Etsy or eBay. Mine is a little different because it’s expandable, meaning the top has a sliding function which is pretty cool. Just search “mid century slat bench” and I’m sure you’ll find one. Good luck!! Wow I love this!! Where are those pillows from? I love the print and size, they look comfy too! I found this rug through the Wayfair link you posted (thanks, by the way!) however the photos on the site look MUCH lighter. Is this a different color than what they have now? Nope it’s the same! The photos on Wayfair are just very edited — it’s not nearly that light, or that bright. Love your living room and the pretty colors against the white background! Follow-up question: are you saying the rug photos here on your site are more true to the real color? 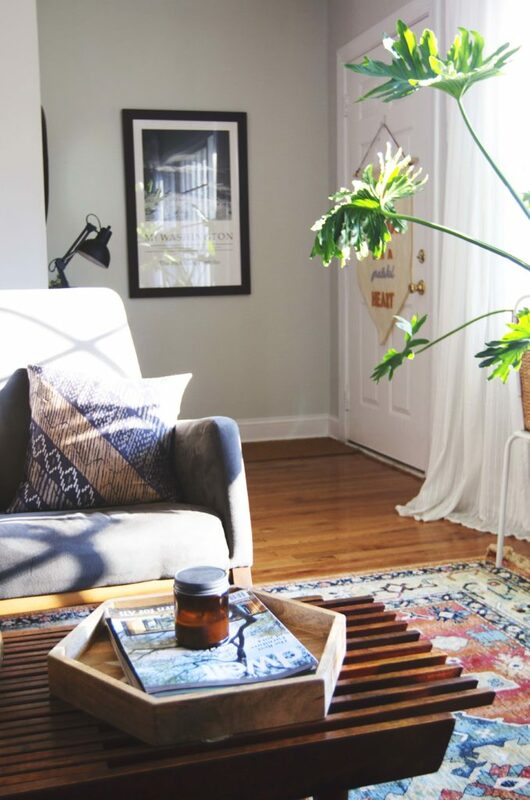 I love the rug in your photos but would never click on the rug as it looks on Wayfair! I just want to make sure the color in these photos is accurate rather than being edited (and I don’t mean that judgmentally–I know most photos on blogs/websites are edited to a degree!!). Totally warranted question — the colors on the website look craaaazy. Here is a photo I think is a very accurate representation of the true colors: http://bit.ly/1ZIGI0U They are lovely and muted, not bright like in the product photos. I’m also thinking of getting this rug, but we have two boys running around the house who freak out when they trip on the rug…. Do you think it would be possible to sew it to a rug pad?Or is it too thick to do that? Hey Jennie! The rug is backed with plastic webbing so it doesn’t slide around. I’ve never tripped on it, but if you’re worried about that you could do a pad for sure. I recently put one underneath (which I highly recommend since it’s rather thin on its own), and I don’t think you would need to sew it as it stays put. Hope that helps! I love this rug! Where did you find it? Hi Rachel! You can find it here on Wayfair. I just stumbled upon your blog via Pinterest, instant follow! I love your living room, I can’t get over how insanely beautiful that rug is! Also, great coffee table and love that little hanging plant! I think a mirror with a nice brass frame would look awesome above your couch too! You are so sweet Ilse, thank you! I hope you’ll follow along with our new house, too! I love that rug and that lamp and that and that! It looks super fresh but super comfy! Can I ask where you got the rug and the plant stands? jk! I read the comments I’m on wayfair now ! Haha! Thanks! Can you tell me the name, manufacturer and where you sourced the rug? I love the changes! Not cluttered in the least but still really beautifully interesting. Thanks Corinna! I kind of miss this living room, but my style has changed so much in the past two years. I hope you like the new space in Denver! Hi there – you’re space is gorgeous and I’m loving your rug!!! I just purchased a lighter navy couch. Do think the rug would work since it’s ounds like the colors aren’t so vibrant? Thanks Maryann! It sounds like this rug will work well with your sofa — for a really accurate idea of the colors of the rug, check out my Instagram. Happy decorating!